Contention of the learned counsel for the petitioner is that the petitioner be allowed to appear before the authority concerned for recording the statement under Section 108 of the Customs Act in the presence of his counsel has no substance as there is no statutory provision which may allow a person to appear along with his counsel before the authorities concerned while his statement under Section 108 of the Customs Act is to be recorded. The case law which has been relied upon by learned counsel for the DRI the Apex Court in case of Poolpandi & Others v. Superintendent, Central Excise & Others (Supra) in which the earlier judgments of the Apex Court has been considered on the issue and the question which was raised and considered by the Court was- whether the witnesses had a constitutional right to the assistance of counsel during their interrogation as witness in the enquiry. The said contention was rejected by the Court that the witnesses had such a right. It was pointed out that the persons concerned were not accused and they could not claim the right available to an accused of being heard through his own counsel. The Apex Court further observed that the purpose of the enquiry under the Customs Act and the other similar statutes will be completely frustrated if the whims of the persons in possession of useful information for the departments are allowed to prevail. For achieving the object of such an enquiry if the appropriate authorities be of the view that such persons should be dissociated from the atmosphere and the company of persons who provide encouragement to them in adopting a non-cooperative attitude to the machineries of law, there cannot be any legitimate objection in depriving them of such company. The relevant provisions of the Constitution in this regard have to be construed in the spirit they were made and the benefits thereunder should not be ”expanded” to favour exploiters engaged in tax evasion at the cost of public exchequer. Hence in view of the law laid down by the Apex Court in case of Poolpandi & Others v. Superintendent, Central Excise & Others (Supra) the presence of counsel refusal during interrogation/recording the statement of a person under the Customs Act would not be violative of Article 20 (3) and 21 of the Constitution of India. The underlying object of Section 108 is to ensure that the officer questioning the person gets all the truth concerning the incident. The power is exercised by a gazetted officer of the Department. It obliges the person summoned to state truth upon any subject respecting which he is examined. He is not absolved from speaking truth on the ground that such statement is admissible in evidence and could be used against him. The provision thus enables the officer to elicit truth from the person examined. 1. Heard Sri Mohit Singh, learned counsel for the petitioner, Sri Sanjay Kumar Singh, learned counsel for the DRI and Sri Ashish Pandey, learned A.G.A. for the State and perused the record. (ii) A writ, order or direction in the nature of writ of mandamus to the respondents to give 3 days prior notice, in case the respondents proceed to arrest the petitioner for that purpose. (iii) Any further writ, order or direction as the Hon ‘ble Court may deem fit and proper to secure the ends of justice. (iv) An order awrding the cost of the petition to the petitioner. 3. The brief facts of the case are that the petitioner Pawan Kumar @ Pawan Arora is one of the partners of partnership firm M/s. Creative Brass, having its registered office at 2nd Floor, Shri Vallabh Complex, above Bank of Baroda, Near PMS School, Civil Lines, Moradabad which is running business activity of export of handicraft of brass and value addition of the brass. The said firm has two partners i.e. Shri Shrey Gupta and petitioner Pawan Kumar @ Pawan Arora who was added in the firm in July, 2013. 4. That during the course of some investigation the DRI Officers of NRU, Noida searched the office premises of the petitioner’s firm at 2nd Floor, Shri Vallabh Complex, Above Bank of Baroda, Near PMS. School, Civil Lines, Moradabad. The officers had taken some documents i.e. three files containing invoices and two other files containing loose papers and prepared a Panchnama at the premises of the petitioners which has been enclosed as Annexure-P5. Another search was carried out on 20.09.2016 at the factory premises of M/s. Creative Brass at 5th KM Milestone, Rampur Road, Near Park Moradabad and the factory was found engaging in packing of brass handicraft items. Some other items were also taken by the officer i.e. weight book, purchase invoice, shipment, creative road challan etc. Copy of the panchnama dated 20.09.2016 carried out at the factory premises has been annexed and marked as Annexure-P6. 5. Thereafter the DRI issued summons dated 20.09.2016 to the petitioner being the partner of the firm to give evidence and produce imports/export documents related with import under duty exemption schemes and exports under drawback schemes and to appear on 21.09.2016 at 11:30 at Noida DRI. By letter dated 21.09.2016 the petitioner informed the Senior Intelligence Officer that due to some personal work was away from the city and requested to give another date for hearing in the following week after 26.09.2016. On 26.09.2016 the DRI issued the summons to the petitioner directing him to present himself on 04.10.2016. Similar summons were also sent to the petitioner on 04.10.2016 to appear on 14.10.2016 by the DRI on the same date in respect of proprietorship firm of the petitioner i.e. M/s. Ria Exports. Meanwhile the petitioner’s partnership firm has deposited Rs. 1 Crore against the demand of customs duty and the said information has been supplied to the DRI vide letter dated 13.12.20 16. Thereafter a summons dated 14.12.2016 has been issued in respect of M/s. Creative Brass and directed them to appear before the authority on 22.12.2016 along with the documents as mentioned in the summons dated 26.09.2016. It is submitted that substantial amount of documents in respect of the import and export made by M/s. Creative Brass has been deposited by the counsel of the partnership firm on 14.10.2016 and 20.10.2016 but the department did not consider the same. Meanwhile the partnership has deposited Rs. 40 Lacs against the customs duty. Again on 13.01.2017 summons were issued in respect of M/s Creative Brass as well as M/s. Ria Exports for appearance of petitioner before the authority on 24.01.2017. “Heard Sri Ajay Bhanot, learned Senior Advocate assisted by Sri Mohit Singh, learned counsel for the petitioner, Sri Imran Sayed, learned A. G.A. for the State and perused the record. Learned counsel for Union of India is not present though the matter has been called in the revised list. (i) A writ, order or direction in the nature of writ of mandamus to the respondent to allow the presence of counsel of the petitioner during recording of the statement under Section 108 of the Customs Act, 1962 on every occasion. (ii) a writ order or direction in the nature of writ of mandamus to the respondents to give 3 days prior notice, in case the respondents proceed to arrest the petitioner for that purpose. Learned counsel for the petitioner at the very outset stated that he confines his argument with respect to prayer no. 2 only and does not want to press prayer no. 1. Learned counsel for the petitioner submits that the petitioner is ready to co-operate with the investigation as his statement under section 108 of the Customs Act is to be recorded but he apprehends that he may be arrested when he appear before the competent authority for getting his statement recorded. He submits that the in similar circumstances, one Nitin Manak had earlier approached this Court and filed Crl. Misc. Writ Petition No. 3335 of 2017 in which an order was passed by this Court on 3.3.2017, in his favour, hence, the petitioner may also be granted the same relief. Copy of the order dated 3.3.2017 has been produced by learned counsel for the petitioner which is taken on record. Considering the facts and circumstances of the case and the submissions advanced by learned counsel for the parties, we direct that the petitioner shall appear before the authorities concerned for recording his statement on 23rd March, 2017. The competent authority may record his statement in accordance with law and in case his arrest is necessitated, he may be given three days prior notice thereafter. With the aforesaid observations, the petition stands disposed of. 7. He has stated that a similar order be passed in the case of the petitioner, hence the petitioner is also entitled a similar order from this Court. 8. Sri Sanjay Kumar Singh, learned counsel appearing on behalf of the DRI respondent nos. 4 and 5 has vehemently refuted the arguments advanced by learned counsel for the petitioner and has submitted that the prayer made in the present writ petition by the petitioner is wholly misconceived and cannot be granted by this Court in view of the judgment of the Apex Court Poolpandi & Others v. Superintendent, Central Excise & Others reported in 1992 (29) ACC 550 and has drawn the attention of the Court towards para-11 of the said judgment wherein the Apex Court has held that there is no statutory provision about the presence of the counsel at the time of recording the statement under Section 108 of the Customs Act. He further submitted that refusal of presence during interrogation/recording the statement of the petitioner under Customs Act would not be violative of Article 20 (3) of the Constitution of India. 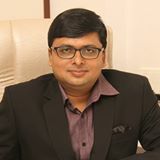 He submitted that the said judgment of the Apex Court has taking into account several earlier judgments of the Apex Court on the issue while judgment relied upon by the learned counsel for the petitioner in Vijay Sajnani Vs. Union of India (Supra) no earlier judgments of the Apex Court has been considered. So far as the prior notice of arrest of the petitioner is concerned and claiming parity with the order passed in Criminal Misc. Writ Petition No. 3842 of 2017 (Shrey Kumar @ Shrey Gupta vs. Union of India and 4 Others) is concerned he pointed out that though the DRI through it’s Officers were impleaded as respondent nos. 3, 4 and 5 but notice of the same were wrongly and illegally given to the office of the State of U.P. and as such said petitioner has obtained an order dated 10.03.2017 without placing the settled law laid down by the Apex Court in the case of Union of India vs. Padam Narain Aggarwal and Others reported in (2008) 13 SCC 305. Hence the present petition is devoid of merit and is liable to be dismissed by this Court. “104. Power to arrest.- (1) If an officer of Customs empowered in this behalf by general or special order of the Principal Commissioner of Customs or Commissioner of Customs has reason to believe that any person in India or within the Indian customs waters has committed an offence punishable under section 132 or section 133 or section 135 or section 135-A or section 136, he may arrest such person and shall, as soon as may be, inform him of the grounds for such arrest. (3) Where an officer of customs has arrested any persons under sub-section (1), he shall, for the purpose of releasing such person on bail or otherwise, have the same powers and be subject to the same provisions as the officer-in-charge of a police-station has and is subject to under the Code of Criminal Procedure, 1898 (5 of 1898). (b) evasion or attempted evasion of duty exceeding fifty lakh rupees, shall be cognizable. (5) Save as otherwise provided in sub-section (4), all other offences under the Act shall be non-cognizable. (d) fraudulently availing of or attempt to avail of drawback or any exemption from duty provided under this Act, if the amount of drawback or exemption from duty exceeds fifty lakh rupees, shall be non-bailable. 107. Power to summon persons to give evidence and produce documents. – (1) Any Gazetted officer of Customs shall have power to summon any person whose attendance he considers necessary either to give evidence or to produce a document or any other thing in any inquiry which such officer is making under this Act. 12. Moreover Section 108 (4) further provides that every such inquiry as aforesaid shall be deemed to be a judicial proceedings within the meaning of Section 193 and Section 228 of the Indian Penal Code (45 of 1860). 13. So far as the power to arrest any person against whom the cognizable offence is made out after recording the statement under Section 108 of the Customs Act then he shall be arrested by the Customs Authorities in view of Section 104 (1) of the Act if evasion or attempted evasion of duty exeeding fifty lakh rupees. The said offence is non-bailable offence as is clear from Section 104 (6) (d) of Customs Act. 14. So far as the contention of the learned counsel for the petitioner is that the petitioner be allowed to appear before the authority concerned for recording the statement under Section 108 of the Customs Act in the presence of his counsel has no substance as there is no statutory provision which may allow a person to appear along with his counsel before the authorities concerned while his statement under Section 108 of the Customs Act is to be recorded. The case law which has been relied upon by learned counsel for the DRI the Apex Court in case of Poolpandi & Others v. Superintendent, Central Excise & Others (Supra) in which the earlier judgments of the Apex Court has been considered on the issue and the question which was raised and considered by the Court was- whether the witnesses had a constitutional right to the assistance of counsel during their interrogation as witness in the enquiry. The said contention was rejected by the Court that the witnesses had such a right. It was pointed out that the persons concerned were not accused and they could not claim the right available to an accused of being heard through his own counsel. The Apex Court further observed that the purpose of the enquiry under the Customs Act and the other similar statutes will be completely frustrated if the whims of the persons in possession of useful information for the departments are allowed to prevail. For achieving the object of such an enquiry if the appropriate authorities be of the view that such persons should be dissociated from the atmosphere and the company of persons who provide encouragement to them in adopting a non-cooperative attitude to the machineries of law, there cannot be any legitimate objection in depriving them of such company. The relevant provisions of the Constitution in this regard have to be construed in the spirit they were made and the benefits thereunder should not be ”expanded” to favour exploiters engaged in tax evasion at the cost of public exchequer. 15. Hence in view of the law laid down by the Apex Court in case of Poolpandi & Others v. Superintendent, Central Excise & Others (Supra) the presence of counsel refusal during interrogation/recording the statement of a person under the Customs Act would not be violative of Article 20 (3) and 21 of the Constitution of India. “No such order could have been passed nor a direction as to prior notice before effecting arrest could have been issued by the High Court. Firstly, the order passed by the High Court was a blanket one and sought to grant protection to the respondents in respect of any non-bailable offence. Neither Section 438 Cr.P.C. nor any other provision of the Code authorities the grant of blanket anticipatory bail for offences not yet committed or with regard to accusations not so far levelled. Secondly, it illegally obstructed, interfered and curtailed the authority of the Customs Officers from exercising their statutory power of arrest by imposing a condition of giving ten days’ prior notice, a condition not warranted by law. There is no question of release on bail unless a person is arrested and, therefore, it is only on arrest that the order granting anticipatory bail becomes operative. The respondents were only summoned under Section 108 of the Customs Act, 1962 (the Act) for recording of their statements. The High Court was conscious and mindful of that fact. It, therefore, held that the applications for anticipatory bail, in the circumstances, were premature. They were, accordingly, disposed of by directing the respondents to appear before the Customs Authorities. The High Court, however, did not stop there. It stated that if the Customs Authorities found any non-bailable offence against the appellants (the respondents herein), they would not be arrested without ten days’ prior notice to them. The order passed by the High Court to the extent of directions issued to the Customs Authorities is, therefore, liable to be set aside. “The safeguards/considerations against the abuse of power and the statutory character of Section 104 of the Customs Act, 1962 have to be kept in view while deciding the correctness or otherwise of the directions issued by a Single Judge of the High Court. On the one hand the power to arrest a person by a Customs Officer under Section 104 of the Act is statutory in character and cannot be interfered with, and on the other hand, the power to arrest is circumscribed by objective considerations and cannot be exercised on whims, caprice or fancy of the officer. Such power of arrest can be exercised only in those cases where the Customs Officers has “reason to believe” that a person has been guilty of an offence punishable under Sections 132, 133, 135 or 135-A of the Act. Section 104 of the Act also obliges the Customs Officer to inform the person arrested of the grounds of arrest as soon as may be. The law requires such person to be produced before a Magistrate without unnecessary delay. “Blanket” order of bail may amount to or result in an invitation to commit an offence or a passport to carry on criminal activities or to afford a shield against any and all types of illegal operations, which, can never be allowed in a society governed by the rule of law. 17. Learned counsel for the petitioner has trying to distinguish the said judgment of the Apex Court on the issue and stated that it was on the question of anticipatory bail under Section 438 Cr.P.C. the Apex Court has laid down the law but the said contention is wholly misconceived as is clear from the perusal of the judgment of the Apex Court the contention raised by Sri Sanjay Kumar Singh, learned counsel for the DRI respondent nos. 4 and 5 has substance and the said judgment is squarely covered on the issue of the prior notice of arrest. 18. In view of the foregoing discussions, we do not find any good ground to interfere in the present writ petition. The petition lacks merit and is, accordingly dismissed.